John Forsythe, the former Dynasty star and voice of Charlie in the Charlie's Angels TV series and films, has been treated for colon cancer. The 88-year-old actor's spokesman Harlan Boll said he was treated at a Los Angeles hospital after being diagnosed with cancer last month. "He seems to be in good spirits. They hope to have him home this weekend," said Mr Boll. 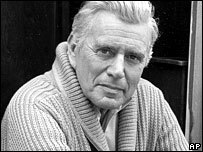 Forsythe played Blake Carrington in the popular US soap from 1981-9. He earned three Emmy nominations for his performance, but never won. In an acting career that began in the 1940s, he also appeared in the Alfred Hitchcock films The Trouble With Harry and Topaz.